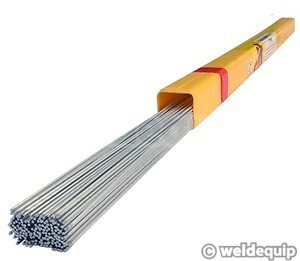 An Aluminium rod with 5% silicon content providing excellent flow characteristics and penetration. Suitable for welding duralumin, cast and wrought alloys. Not ideal for components that need to be anodised after welding as the weld will turn black (use 5356 instead).